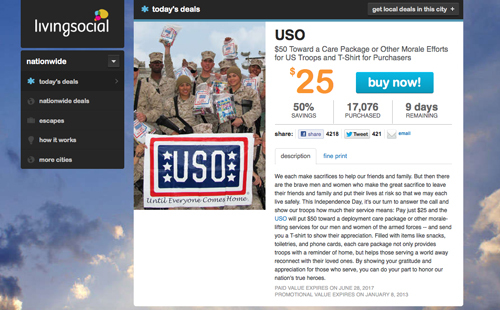 Screen shot of LivingSocial care package deal. Great idea, the USO was a terrific help to my Marine in his travels in the US and abroad. Thanks to all USO workers!